Made with nature as both guide and inspiration, Novatto's marble stone sinks will add character and charm to your bath. 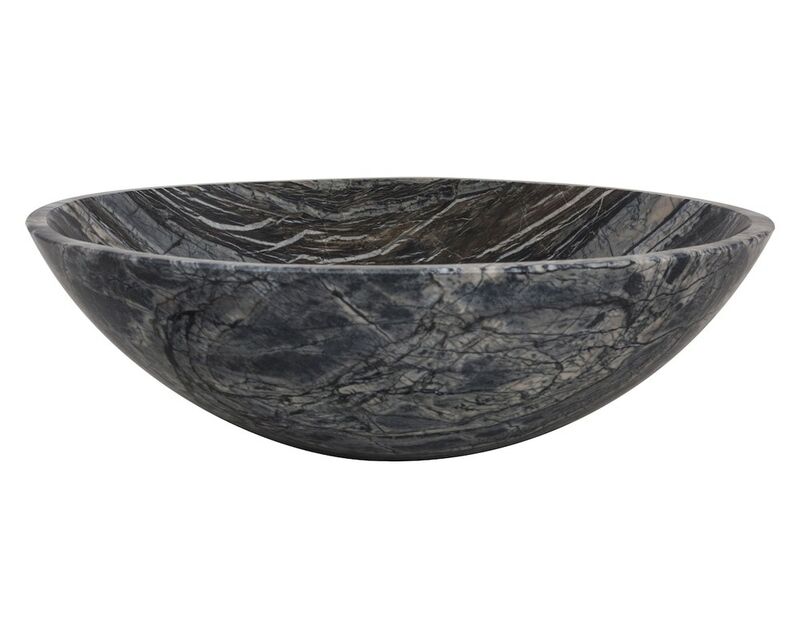 Our lunar marble sinks come from around the world, giving you a one-of-a-kind bath masterpiece. Natural stone cannot be compared to everyday synthetic porcelain and ceramics. Honed and hand polished to perfection, each 17-inch round vessel sink is beautifully unique in tones of black with white veining. Because marble is from Mother Nature, each sink will vary slightly in color and veining. These sinks are designed for above-counter installation. They have a 1.75-inch drain opening for standard U.S. plumbing connections. Suggested Novatto strainer drains: STD-ORB (oil rubbed bronze), STD-BN (brushed nickel), and STD-CH (chrome). For best cleaning results, a soft cloth with mild soap and water or a non-abrasive glass cleaner is recommended. A stone sealant should be used to help protect the surface and allow for easier cleaning. Just add water and enjoy Novatto's Limited Lifetime Warranty. Supreme packaging and boxing ensure damage-free delivery. Novatto strives to provide a superior product with exceptional qualities and unique innovations that professionals and homeowners trust. Novatto's customer service is always here to answer any additional technical product questions or help you choose a matching faucet at 844.404.4242 or productsupport@novattoinc.com.